Real-time analytics are a key-enabler for making faster, data-driven decisions. After all, decisions made in haste with stale data or no data at all can backfire, leaving organizations at a competitive disadvantage. In response to the increasing demand for real-time analytics, in late 2017 we introduced Snowpipe, our continuous, automated, and cost-effective service that loads all of your data efficiently and without any manual effort. We’re happy to share that Snowpipe is now generally available (GA) for broader use across regions on both AWS and Azure. Data-generating applications are emerging daily, creating large and continuous streams of both structured and semi-structured data. To support rapid decision-making, organizations need to analyze data as quickly as possible without impacting other workloads or requiring server management. Today’s on-premises and cloud-based solutions batch load data at off-peak times, leading to delays in gaining access to valuable data. With Snowpipe, customers always control the tradeoff between cost efficiency and latency. By selecting the batch size that best meets their needs, customers use a simple but flexible mechanism for ingesting data through small batches aggregated into a single file. What’s more, newly ingested data is immediately available to all Snowflake users. Since Snowpipe’s initial release, customers have collectively loaded over 10 million files and, in some cases, up to 20TB of data per week. 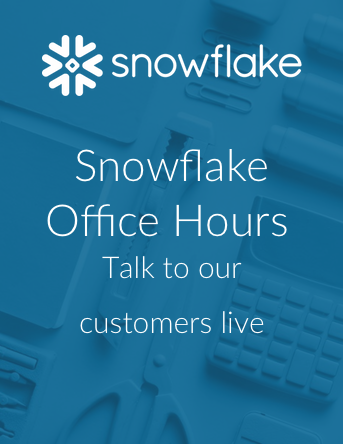 In the aggregate, Snowflake customers have loaded and logged over 2.5 PB of data and 2 billion files. Give Snowpipe a spin today and let us know your feedback. You can find the documentation and information on how to get started here.